A random survey of 53 urban policymakers drawn from nine line ministries and agencies charged with urban planning revealed an array of gaps that need to be bridged in Imo State’s urban renewal program The gaps identified range from poor budgeting and implementation, misplaced priorities, inadequate funding, lack of political will, absence of a legal framework for urban renewal, disruption of access to livelihoods, insecurity, street-trading, multiple taxation, land dispossession, insufficient transportation, forced displacement, development control and so forth. 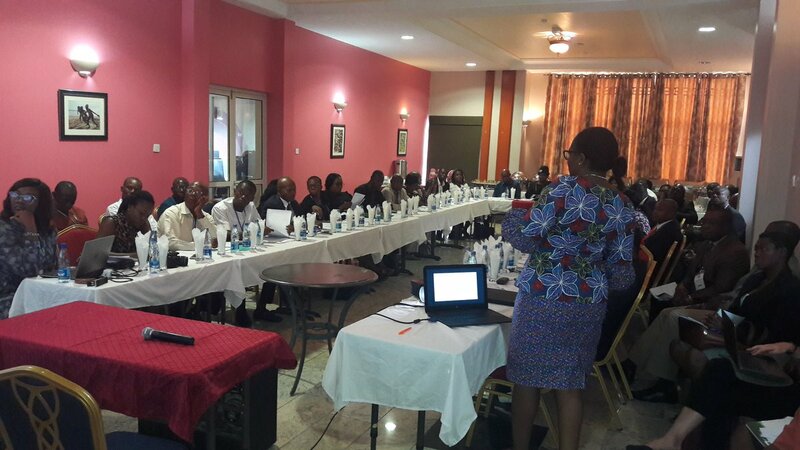 The survey was conducted at the one-day capacity building workshop that Spaces for Change organized on May 31, 2018 in Owerri Imo State. What are the most compelling challenges for professionals in the urban renewal sector? The first is the lack of a legal framework that dictates the rules guiding how urban renewal should be conducted and the limits of state state power during the process. That has been a great source of tension in the state. Another issue is the glaring disconnect between state political leaders and urban professionals. State political actors have an unhealthy regard towards expert opinion on urban governance and best practice in the sector. Professionals help to articulate the values of a policy and align policy recommendations to expectations. Most times, urban development policies and decisions may be difficult for laypeople to comprehend or to implement from paper to ground but if professionals are well engaged and allowed to function, they can help build mutual understanding, credibility and achieve the ultimate goals of a programme through best practices. When government excludes professionals and the citizens from planning processes, it creates a problem for professionals who often times in the course of discharging their duties, encounter a disconnect that often breeds distrust, non-participation and non-compliance to state directives from citizens. Therefore, expert opinions are important to increase the quality and trustworthiness of urban policies and outcomes. 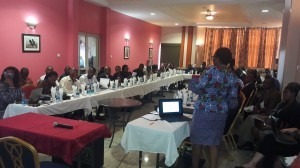 Professionals advise government on best policies and better ways to implement programmes as intended by the government. What are the most critical issues that must be addressed in order to achieve improved urban planning in Owerri? Most responses to this question identified a lack of citizen engagement by the government. Sensitization of citizens is generally low. Urbanization programmes must seek to empower key actors to contribute and adopt participatory planning in the upgrading and planning processes. Collective participation and adequate sensitization of the public help to prepare citizens for implementation and also institutionalize partnerships, inclusiveness and improved governance arrangements. The provision of alternatives is also a critical issue in addressing urban challenges. Most demolitions in the state have seen victims left out in the cold without alternatives or compensation for losses incurred during demolition processes. There is need for government to provide alternative accommodation for people within the structure of its plans and implementation. Consultations with stakeholders ensure collective participation and inclusiveness that bolster urban planning. For life to be better in Owerri, what does the average citizen need to know? The new face of Owerri came at a price. The demolition of markets was greeted with fierce resistance by indigenes who regarded the demolished markets as historic and central to their daily survival. Respondents stated that the average Owerri citizen must embrace the pains and gains of urban renewal programmes for life to be better. Imo citizens must also come to terms with new city programmes and respect the master plan of the town which seeks to redesign the city, widen roads, provide good drainage systems, attract investors and make it a tourist center. Other issues noted by respondents include respect for authority, good sanitary habits, change in public perceptions and adherence to land use laws. What would you suggest needs to be done to achieve improved outcomes in the urban planning and development sector in the study area? There was a consensus among respondents that the sustainable development and viability of urban processes require the involvement of all stakeholders whether in the public and private spheres. They need to unite in efforts and capacities to become part of the planning process. This can be achieved by public enlightenment, public hearings and setting up of grievance mechanisms. The state must also have strong legal foundations that help to resolve conflicts that may arise as a result of interruptions that may result from the renewal exercises. An independent legislature with the capacity to translate its urban policies, programs and plans into enforceable instruments will aid improvement in outcomes. Government must be transparent and fair about its plan. Respondents want the structure of urban implementation to be considerate of the aspirations and needs of the people by identifying the methodology, reasons and consequences of their plans on the people. For instance, destroying a local market and replacing it with luxury shopping complexes that traders cannot afford may not help to realize the state’s objective of boosting economic vibrancy and attracting investors. Government must improve and provide basic infrastructures like good roads, water and electricity that improve city sustainability.